Palm Coast Carpet Cleaning specializes in tile and grout cleaning. We have the expertise and equipment for even the toughest tile cleaning in Palm Coast, and also grout cleaning in Palm Coast. Both of these services are essential to have tile walls or tile floors look and feel like new. There are certainly a lot of advantages to having tile in your home. They make for easy cleaning and are great for high water use areas such as bathrooms and kitchens. Tile use has some big disadvantages too; the grout that holds it in place is full of tiny holes that you can’t see, which are great for growing such things as mold, mildew, and bacteria. This dirty grout can make even the best looking tile seem not so nice. If you have ever attempted to clean grout you know how difficult and frustrating the tile cleaning Palm Coast process can be. Well, Palm Coast Carpet Cleaning is here to help. 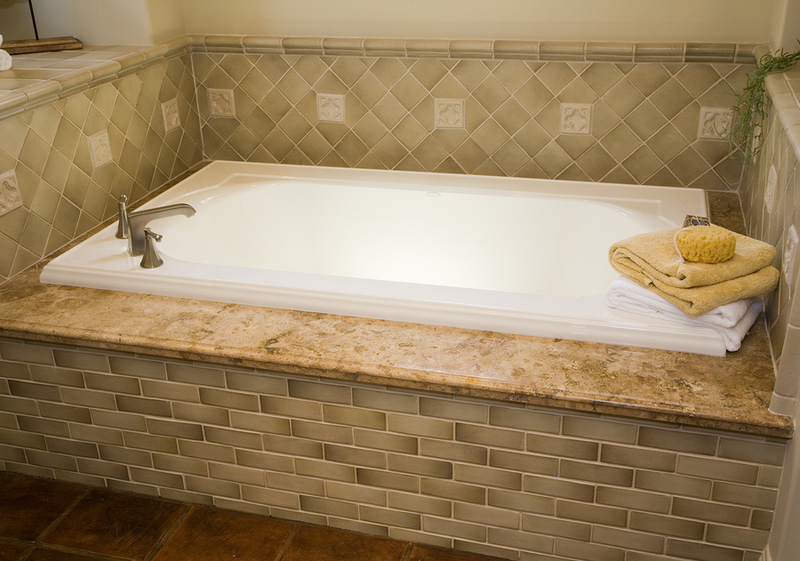 Why is important to keep your grout clean? Clean grout is not only important for the looks of the rooms that its used in, but if not cleaned regularly the bacteria and allergens that build up in it can be harmful to you and your family’s health. Even when you clean the tiles yourself, some of the waste water that contains the mold and bacteria you just cleaned gets trapped right back in the porous holes in the grout. That is why it takes a company like us with special grout cleaning in Palm Coast tools to get them sparkling clean and have them remain that way much longer. The question you have to ask yourself is why you would want to take all that time and go to the trouble of cleaning your grout yourself when Palm Coast Carpet Cleaning has the tools to do it for you in an affordable way? We specialize in deep cleaning grout around all the different types of ceramic and porcelain tiles you have in your home. We also only use environmentally safe cleaning chemicals to do the work; the work we do will leave no harmful chemicals behind and your tile and grout will once again be sparkling clean, allergen free and sanitary. So give Palm Coast Carpet Cleaning a call today at 386-222-0003 and we would be happy to provide you with an estimate for your tile and grout cleaning needs; you will be pleasantly surprised to hear just how affordable our tile cleaning in Palm Coast can be!